The idea that community art, poetry, live bands representing a variety of musical genres (including reggae and folk), Brazilian dance/martial arts and fire-spinning can happily reside together within the confines of a barn might strike some folks as odd. On the other hand, this very anomaly becomes a public statement about our community that could perhaps be summed up thusly: In Goshen, this is just how we roll. 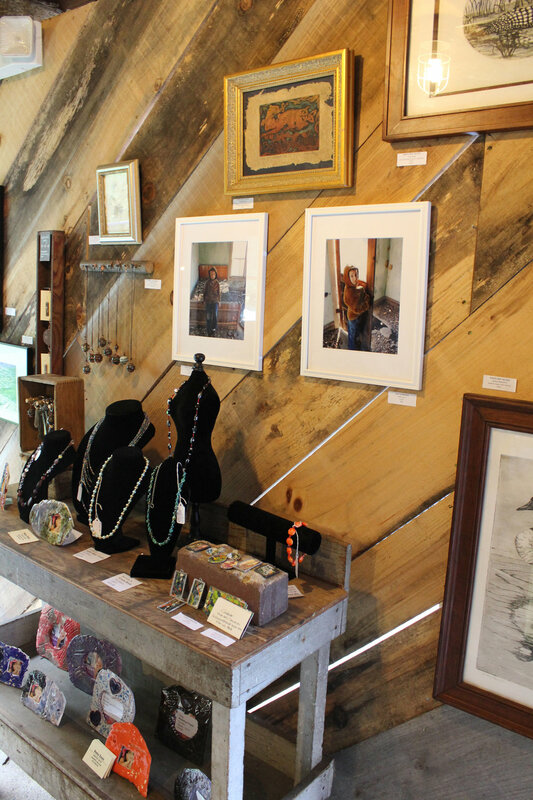 I am referring specifically to the fourth annual Art in the Barn show held at Red Tail Farm this past weekend. As a newcomer to the event, I couldn’t help but be impressed. Goshen might be in the midst of growing pains on the diversity front but the breadth of creative output on display—and the warm reception it received by those in attendance--is a positive testament to the kinds of cultural contributions we already celebrate. From paintings, photographs, letterpress prints, sculptures and pen and ink drawings to a hand-built, functional canoe suspended overhead and a video/projected installation, the art part of Art in the Barn was a sight to behold. And while I could certainly look for common themes in terms of the subject matter or content, I’m not sure it’s necessary; recognizing similarities is not as important as appreciating the diversity of thought, experience and perspectives reflected in the work. We are not the same. Yet when we come together in the form of a somewhat spontaneous and random collection of visual artifacts, the end result tells much more interesting stories about us individually and collectively. There is, of course, something wonderful about seeing so many people at a barn, looking at art, listening to music and poetry, dancing and generally enjoying each other's company. However, the extraordinary part is knowing that we have the ability, as a community, to create spaces where political and religious ideology can be put aside for a time, and that art subsequently creates a way for differences of opinion and perspective to harmoniously coexist. The impressive turnout on both Friday and Saturday evenings (for Art in the Barn) likewise serves as an affirmation of the value that we have essentially agreed we place on creativity. In a nutshell, Art in the Barn has something to teach us: Namely, that art is inclusive. I suppose that becomes part of our collective narrative -- that is, as a community, we believe art and design are for everyone and we are, furthermore, willing to make room for everyone.